Gores acquired Stock Building Supply (“Stock”) from Wolseley plc in May 2009. At the time of acquisition, the business had been losing more than $200 million in EBITDA per annum. Gores partnered with the management team to steer Stock through an unprecedented housing crisis, ultimately pricing a successful IPO in August 2013. 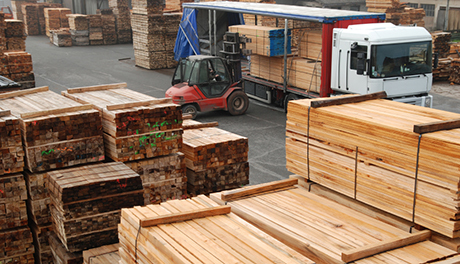 Headquartered in Raleigh, North Carolina, Stock Building Supply is a diversified lumber and building materials distributor and solutions provider that sells to new construction and repair and remodel contractors. Gores acquired a 51% equity stake in Stock from Wolseley plc in May 2009 and bought the remaining 49% of equity in November 2011. At the time of acquisition, the business had been losing more than $200 million in EBITDA per year. In partnership with the management team, Gores focused on operating the business with a significantly lower cost structure, targeting only its most attractive end markets. Stock’s facilities were strategically positioned in 20 metropolitan areas that were believed to have attractive potential for economic growth. Additionally, Stock exited two non-core divisional assets and completed four add-ons to strengthen its capabilities in key markets and regions. Starting in 2011, the management team implemented LEAN business practices to improve customer service, reduce waste and increase productivity. As a result, Stock developed several innovative and proprietary eBusiness systems, including Stock Logistics Solutions, which enabled the Company to track its supply chain more accurately, significantly improving customer service and reducing waste. Through aggressive cost management and strategic activities implemented to refocus the business during the global economic downturn, Stock drove significant productivity gains and was well positioned for growth as the housing recovery ensued. 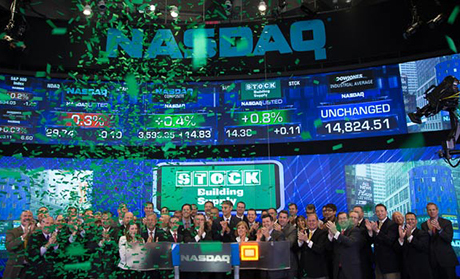 In August 2013, Gores successfully priced the IPO of Stock Building Supply at a price of $14 per share. Shares trade on the NASDAQ under the symbol “STCK.” In addition, Stock was recognized as M&A; Deal of the Year (for deals over $500 million to $1 billion) by M&A; Advisors in December 2013. The Transaction is a significant milestone for Gores and marks the first U.S. IPO in our firm’s history.